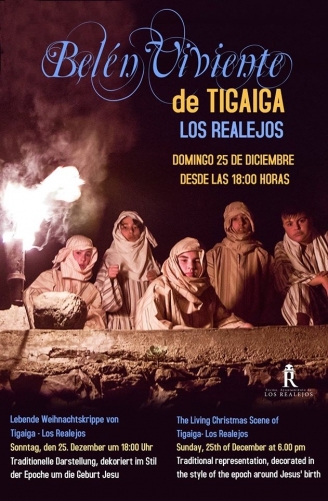 The Tigaiga human nativity scene of Los Realejos brings Christmas to life - literally - making it a popular festive attraction frequented by people all over the island. The real-life nativity has been taking place in the northern town on Christmas day since 1972, and this year is no different. Visitors can enjoy the spectacle from 7pm.